3. Mark the Only People With Password option, set your password then click the Save button. 4. Click the Go Live! button to proceed. 5. 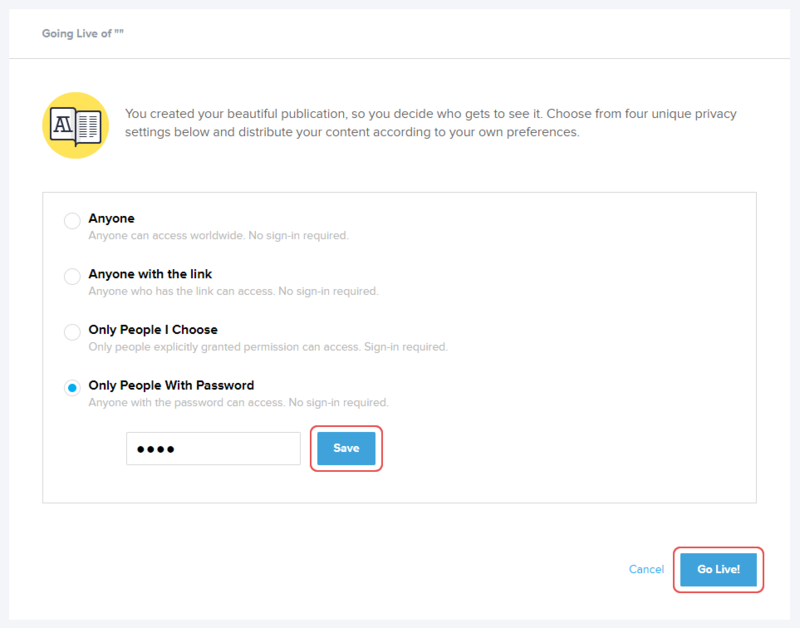 In this step, you can go to any page of your issue and copy the direct link. 6. You can change the password you have set if you wish to. Click the Done button to proceed. 7. 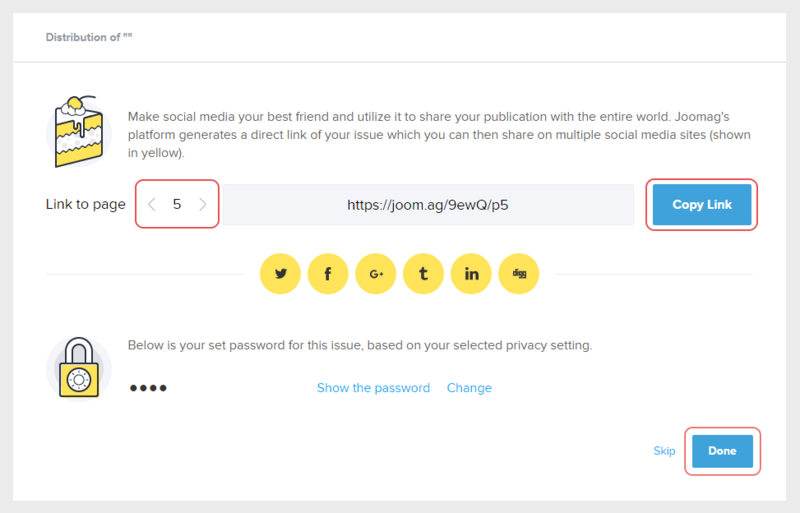 We give you the opportunity to embed your issue on a website or to customize the link. Click the Done button when you're done.